Street art, and good street art can stop even the most “graffiti haters” in their tracks because the artwork is genuinely of good quality and the design is masterful. 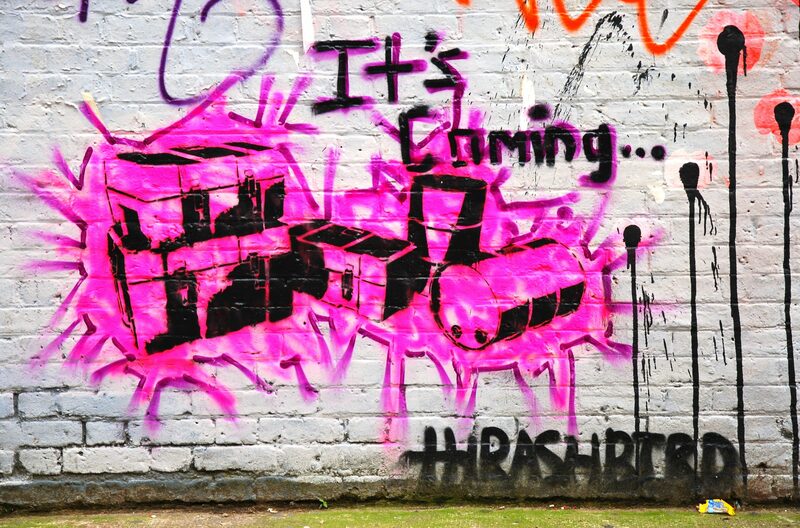 Lately I have been noticing more street art around but one I have noticed is from an artist named Thrashbird. I first saw Thrashbird as an artist on Instragram but as I walked along Shoreditch, London, I noticed more of his work. Thrashbird’s artwork is created with wheat-paste and is almost always socially and politically charged. 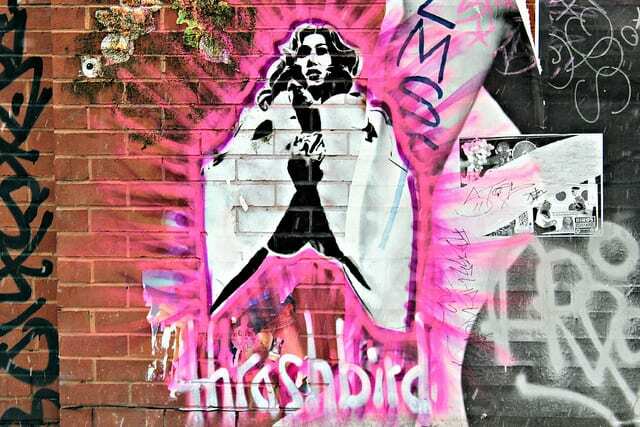 Thrashbird art has been pictured everywhere from London to Los Angeles, Los Angeles to New York and New York to Vancouver. Usually, street art will go through a few transitions and either be accepted and appreciated as good art, or hated and covered-up. The point of Thrashbird’s art work is that he likes everything to have a meaning and an expression. He hates empty walls and bare concrete because the meaning is lacking and there is no expression. This can usually be noted by the type of artwork Thrashbird does. The world we live in is a very materialistic world. We are told what we should and should not like, we are told what products we should and should not like and we are forever told what we should and should not buy but Thrashbird turns this upside down. Instead of advertising posters, there should be artwork or nature and that’s why his artwork is so socially charged. He wants people to stop and stare and take photographs and that’s what happens. His work has been compared to that of Banksy but like many other artists, Thrashbird offers other things that set him apart from infamous artists. His work is very unique and has an appeal that wouldn’t necessarily appeal to everyone but that is the beauty of it. His artwork isn’t designed to appeal to anyone; it is designed to cover up walls that have no expression or streets that are covered in nothing but concrete.